The story so far: last Spring, Windows 10 Mobile users started noticing broken thumbnails and photos in Windows 10 Photos on the phone. Clearly something had changed at Microsoft's end in terms of the servers that Photos liases with. 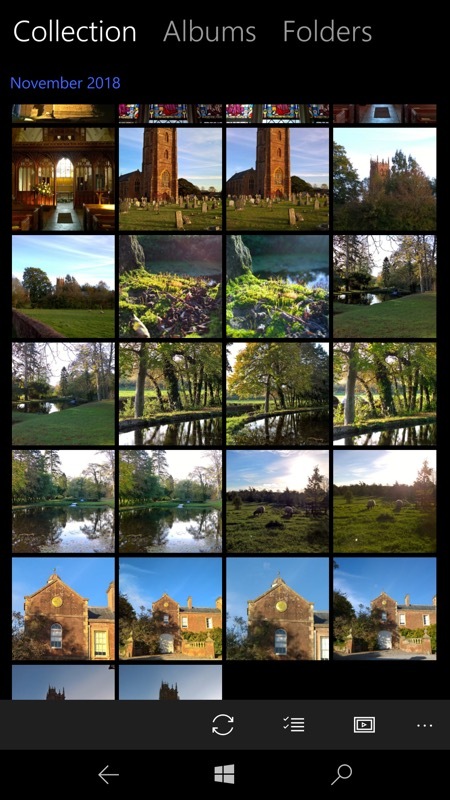 The images were still there, as could be proved by using the OneDrive application's Photos view, but something was clearly wrong. Enter Sherlock Litchfield(! ), I wrote this up in July 2018 and concluded that it was Microsoft's new server code not being able to cope with photos shot on the Lumia 1020, and on the Alcatel IDOL 4 Pro (and 4S). And, no doubt, other non-'standard'/supported devices. Do read my linked explanations for more. One caveat is that there are still some thumbnails from Spring 2018 which are 'broken' and it seems that these got generated at Microsoft's end while the faulty server code was present and that these never got reindexed by the company. Will these ever be fixed? Somehow I doubt it. Still, it's fairly safe to 'go back into the water' now in terms of Photos. Data points welcome, but I haven't had a broken thumbnail now for nine months, so I'm drawing a line under the affair. I don't think it was any of the regular Windows 10 Mobile OS updates (most recent one here) which fixed any of this, and we haven't had a Photos application update for a while - I'm pretty sure that Microsoft simply made their OneDrive and Photos-indexing code more robust on their servers.